Your hands-on guide to keeping great records and keeping your nonprofit running smoothly. 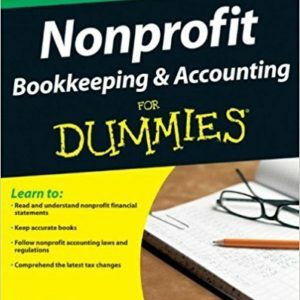 Need to get your nonprofit books in order? 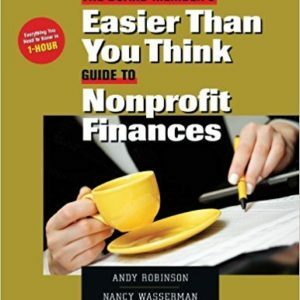 This practical guide has everything you need to know to operate your nonprofit according to generally accepted accounting principles (GAAP) — from documenting transactions and budgeting to filing taxes, preparing financial statements, and much more. You’ll see how to stay organized, keep records, and be prepared for an audit. With the possible exception of How do I avoid fundraising? A board member’s most commonly unasked question is, What do all these numbers mean and what am I supposed to do with them? Financial planning and budgeting combine all of our money taboos with that common disorder, math phobia. Andy Robinson and Nancy Wasserman help trustees (and their staff colleagues) confront and address this fear with wisdom, clarity, humor, and humility. If you find math mysterious and scary, yet need to understand financial statements to do your job as a board member. This guide serves as an extensive review of all of the major responsibilities that an Executive Director will face in her/his career. 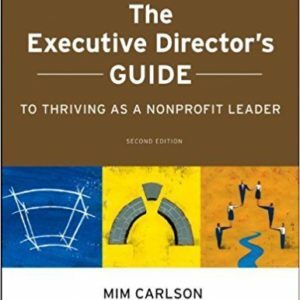 It is a very practical read for anyone who is just beginning to enter the nonprofit sector. Although the introduction claims it can be for any part of a nonprofit, it is written to an audience that is either currently or seeking this position. For anyone who is concerned with limited time, this book is a valuable resource for self-improvement as well as a resource to keep at hand.